*BURNING BRIGHT is going to be an audiobook! This is probably the news that excites me most, because I have a daughter with a reading disability who consumes books almost entirely as either manga or audiobook. This means she’s never read any of my books, and I’m so happy to be able to share this one with her. (Okay, yes, I could read them aloud to her, but as she does all her reading late at night, I’m reluctant to do so.) It will be available November 15. *For fans of Tremontane, the next novel is actually a trilogy taking us back in time to the days of Willow North, first of the North queens. PRETENDER TO THE CROWN won first place in the League of Utah Writers First Chapter contest, and I’m looking forward to sharing it with everyone. But I’ve decided, since it’s a true trilogy and not a set of linked stories, not to start releasing it until the trilogy is complete–which means writing the third book. I’m sorry about the delay. 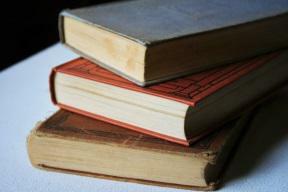 * I’ve sold two new books to Curiosity Quills! 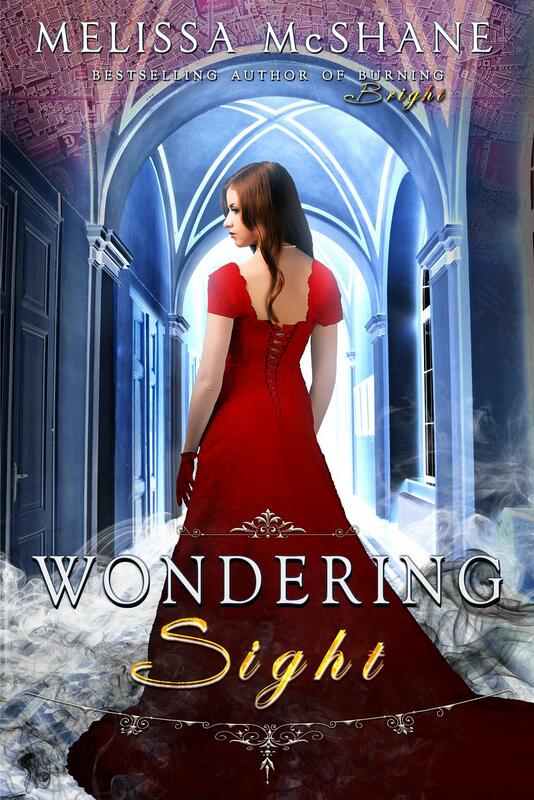 One is the sequel to BURNING BRIGHT titled WONDERING SIGHT (the rhyming is completely coincidental). 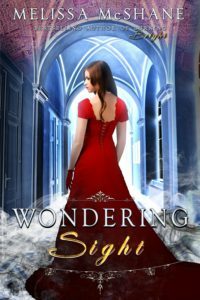 It features a whole new cast of characters and is about Sophia Westlake, the Extraordinary Seer who figured out the pirates’ secret in BURNING BRIGHT. It’s a very different story from the first; there are counterfeiters and madmen and revenge and obsession, and I hope readers will like it, too. *The second book is the first in a new series called The Last Oracle, titled THE BOOK OF SECRETS (I’m not satisfied with this title and it may change). The book is about Helena, who takes a job at a strange used book store only to discover it’s hiding some powerful secrets. Caught up in a centuries-long war between humanity and alien monsters from another reality, Helena must take on a new role: that of custodian to the world’s only living oracle. I’m very excited about this series, which is five books long so far and still growing. 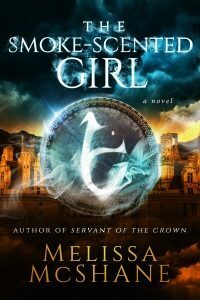 *Speaking of sequels, the sequel to THE SMOKE-SCENTED GIRL will be available for preorder on October 5! 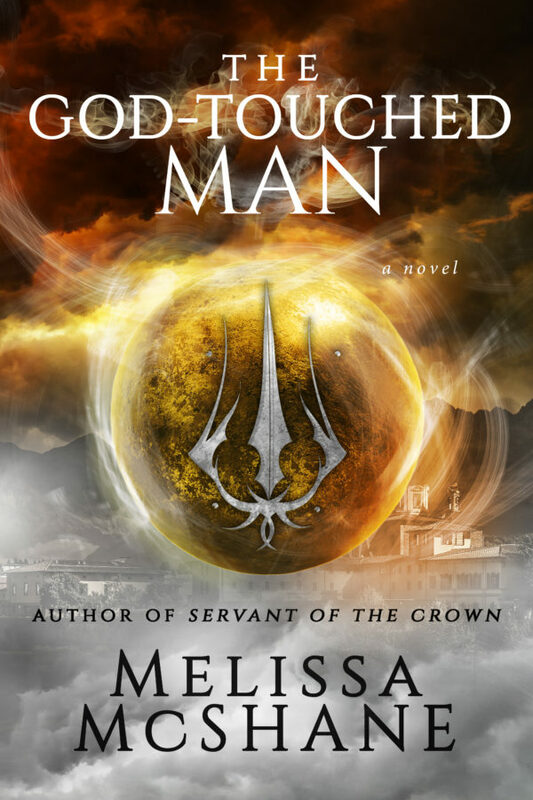 THE GOD-TOUCHED MAN is the story of Evon’s best friend Piercy, man about town and secret government agent. When he’s assigned to chaperone a princess of a foreign country, Piercy thinks he’s in for a very dull time. 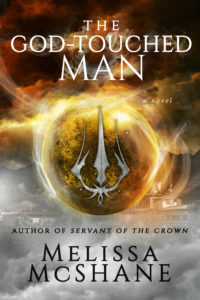 But an encounter with a rogue magician catapults Piercy and the princess two hundred years into the past, forcing the two of them to work together to return to their own time and prevent a catastrophe that could destroy Dalanine–even if it costs them their lives. Release date November 15. I’ll be posting more news as things progress, but until then, thanks for reading! Today marks the release of my latest book, BURNING BRIGHT. It’s an alternate history Regency-era adventure, with magic and pirates–how’s that for a mouthful! I wrote this book on a personal dare, challenging myself to write historical fiction, and I think it turned out pretty well. The magic system is one I had constructed for a modern-day fantasy, but that story just wasn’t coming together, so I’m glad it could find a home in the Extraordinaries series. I hope you enjoy Elinor’s adventures in a world where the Napoleonic Wars are fought with magic and telepathy, teleportation, and telekinesis are all part of everyday life. BURNING BRIGHT is available as an ebook at Amazon.com and will be available in print soon. The book is free for Kindle Unlimited users. 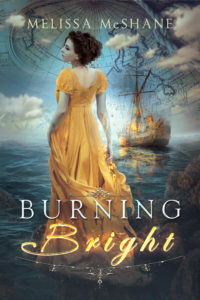 Author MelissaPosted on August 15, 2016 Categories my novels, writingTags books, Burning Bright, Extraordinaries, historical, pirates, regency, writingLeave a comment on Release day–Burning Bright!